PETALING JAYA, AUGUST 30, 2017 – A collaboration between Domino’s Pizza and Wonda Coffee is bringing double the joy for Malaysians, with a delicious treat in conjunction with the 60th Merdeka Day celebration and International Wonda Coffee Day. 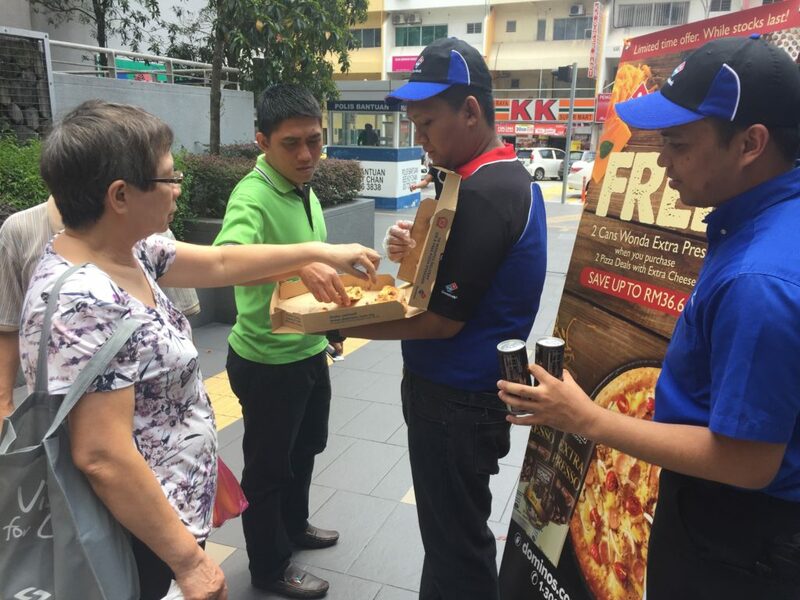 To kick off the campaign, a total of 60 giveaways of hot pizza and cans of Wonda Coffee Extra Presso samplings were handed out during lunchtime at Domino’s Pizza Uptown Damansara. There will be daily pizza and coffee sampling during the campaign which runs from August 28 to September 10. 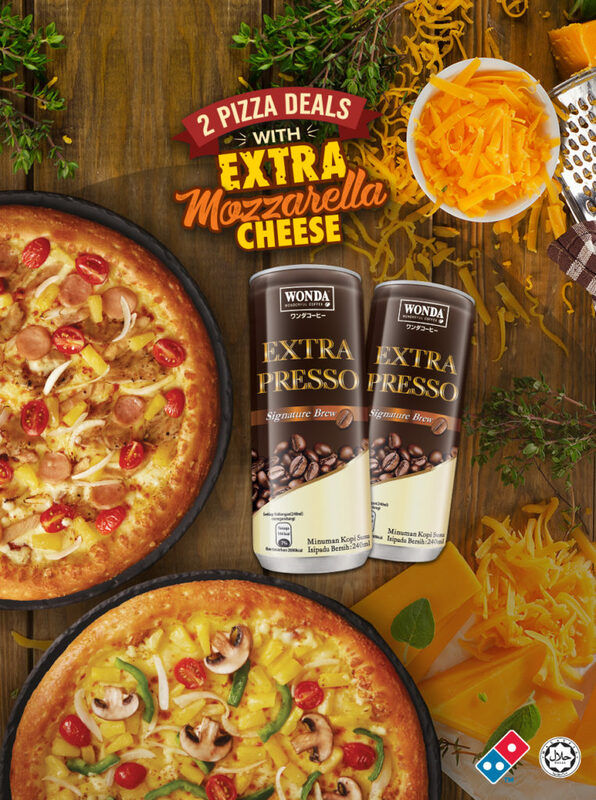 Also, in conjunction with International Wonda Coffee Day, for the 2-week campaign, anyone who purchases Domino’s 2 Pizza Deal with Extra Cheese will receive 2 cans of Wonda Extra Presso for free, while stocks last. Terms & conditions apply.